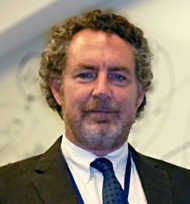 Glenn Strachan is a seasoned international development executive whose career has spanned the globe as well as IT disciplines – from programming inventory management systems to being a Chief Information Officer (CIO), Vice President (VP), and Senior ICT advisor to NGOs, private sector companies and nations. As a technology expert he designed the national health management information systems for Grenada and Jamaica. In Macedonia he designed long-term sustainable solutions for nationwide wireless Internet access by leading the collaborative efforts of numerous stakeholders, making Macedonia the first all broadband wireless country in the world.